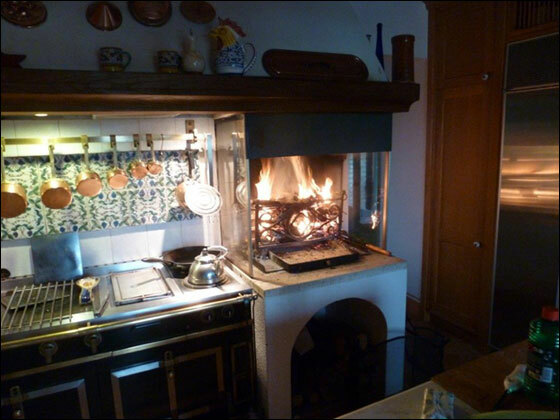 "La Cucina" is cook-friendly and is large enough for cooking demonstrations and gatherings. The custom-built oak cabinets are imported from England. The marble top counter surface and the freestanding island both include Belfast sinks. The appliances include a large refrigerator, a French Cornue gas/electric stove with a double oven and a dishwasher. There is also a working fireplace for open fire wood grilling. Large French doors lead to the conservatory (Limonaia).